Laila has helped many families with babysitting for a few years. She really enjoys spending time with kids, and she is full of new, bright ideas. 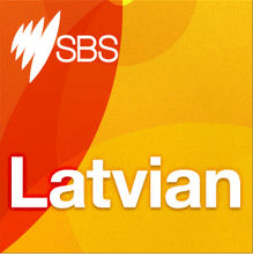 She has also taught Grade 1 and 2 in Melbourne Latvian School Daugava. Work in all architectural sectors, we have developed a significant body of work and specialised skillsets in Tertiary Education and the Food and Beverage Industrial Sectors. We build compact sustainable houses for everyone to enjoy. ‘Landair Surveys’ is a land, engineering and aerial surveying company established in 1974 providing services to private, corporate and government clients throughout Australia and is a member of the Association of Consulting Surveyors Victoria. Sydney based cadastral surveying services, fulfilling contracts throughout Australia. Ashburner Francis is a consulting engineering firm specialising in the design of electrical and mechanical engineering services for buildings and urban developments. The Latvian Lunchroom provides authentic Latvian kitchen and ‘Baltic-trend’ foods, using classic ingredients in traditional recipes – but with a modern twist. Adelaide Central Market, Stall 75 – inside, near the Grote Street [Baker’s Delight] entrance. Prepares delicious buffets in the Latvian tradition, or by arrangement. Prepares exquisite cakes, delicious buffets in the Latvian tradition and tasty pīrāgi. Positive relationships provide the strong foundation for opportunities, which is why we take the time to understand your values, both professionally and on a personal level, so that we are able to provide you with opportunities for growth. At Stones Sharp we provide a broad range of taxation and accounting services to suit your needs. 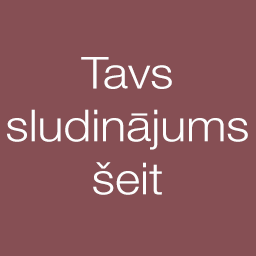 I provide various legal services and translations from Latvian to English and vice versa. My main work is will drafting and estates, conveyancing and business sales. In Latvian courts I have appeared as a translator and also as an authorised representative. In 1992 I was appointed in N.S.W. as a Public Notary. Darzins Legal is a law firm based in Melbourne, Victoria. Areas of practice are commercial and business law, intellectual property (including feature film, documentary film and TV program financing, production and exploitation), real property and leasing, securities and mortgages, wills, trusts and probate. We deal with litigious and non-litigious matters in these areas of practice. We service the legal requirements of public and private corporations, Government departments and authorities, private clients, community organisations and charities. The Principal and other staff of Darzins Legal are fluent in Latvian and have the ability to discuss and deal with legal issues in the Latvian language. General dental services. Address: 290 Napier st. Strathmore, 3041. At Kensington Gastroenterology we provide diagnosis and treatment of digestive diseases. Dr. Ilmars Lidums is a specialist gastroenterologist. Address: 46 Kensington Rd. Rose Park, S.A.
General dental services. Address: 648 South Rd. Glandore, 5037. I released my debut album, ‘Young Blood’. It’s an 11 track, self-produced album where I’ve mixed folk, indie rock and traditional Latvian influences. . I make Latvian jewellery, both traditional and contemporary interpretations. I usually work in silver, but sometimes I add amber, bronze or pearl elements. My website shows only a small selection of my works. Laila has been teaching at Melbourne Latvian School as a teacher since 2011. In 2013 she decided to offer private Latvian lessons as well, and is currently still offering Latvian lessons for anyone who is interested. Laila has been playing piano since she was 6 years old. She successfully finished VCE Music Performance in 2012. She continues her love for playing the piano by performing at Latvian events, as well as teaching others piano. Computer & Internet consultant. Mobile & database Apps. Helping business in Adelaide with their IT and Telephony needs. Internet arcade where you will find exclusive limited edition products made in Latvia by Latvian artists. Artisian hand made beautiful and functional ceramic tableware for everyday use. Glazed and tempered at 1000c heat, microwave and oven proof and dishwasher safe RRP from $19- $49. Australian born Latvian, now living in Riga, renting an apartment in the centre of Riga on Lācplēša street. Fully furnished. One bedroom with double bed and pullout couch in living room. Ideal for a longer holiday in Latvia for up to 4 people. Arbonne is botanically-based skincare, makeup and nutrition products. Our motto is Pure, Safe and Beneficial. We are vegan certified, gluten free, and our products are formulated to enhance your beauty, health and wellness. Simona is a Melburne – based hairstylist and make up artist with a career that spans more than 15 years. Trained by some of the industry’s most prestigious make up artists and stylists. Career highlights include working with a wide variety of TV presenters, performers in various Television productions. Registered Migration Advisor (MARN: 1575233) can help you to find, prepare and lodge the right visa application for your stay in Australia. With over 40 years’ experience Riga Floor Covering offers a wide range of products and services in both the Domestic and Commercial fields. Laila is currently studying a Bachelor of Design (Communication Design). She specialises in Graphic Design and Web Design. If you ever need a poster, programme or website designed, you can definitely ask Laila for help! Integrated solutions for all your print needs. Delivering significant benefits in cost reduction, print innovation and speed to market. Theatrical design, production and consultancy. Lighting, sound and audio visual design and operation. Occupational Health and Safety consultancy. Service all areas in Melbourne. Special discount for the Latvian Community. Happy to assist. To add your services please contact us.